Medical transcriptionists and healthcare professionals have trusted My Docs Online to transfer sensitive electronic patient files for over a decade. Health Care Pros select My Docs Online for superior security, hassle-free user interface, and unrivaled customer support. Receive an email notification when new work comes into your My Docs Online account. 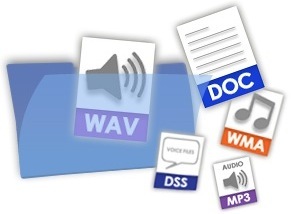 A simple yet secure way to transfer Voice Files and Finished Dictation. Medical transcriptionists and healthcare professionals have trusted My Docs Online to transfer sensitive electronic patient files for nearly a decade. My Docs Online provides seamless, secure HIPAA Compliant online file transfer and storage. Private practices, hospitals, transcription companies, and independent transcriptionists choose My Docs Online for superior security, hassle-free user interface, and unrivaled customer support. 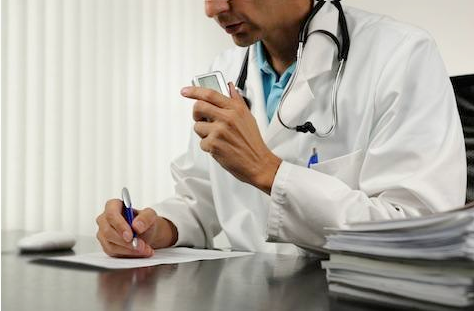 Physicians dictate their voice notes into a hand-held digital dictation device and then copy those digital voice files onto a computer in the office. The files are copied from that computer to the secure My Docs Online servers. When that transfer is complete the Medical Transcriptionist (MT) is notified, automatically, that new files are available for transcribing. The MT then downloads the voice files, transcribes them and sends them back as finished dictation files to the secure My Docs Online servers. Once those files arrive at the My Docs servers the Physicians office is notified that finished transcription is waiting and those files can be downloaded at their convenience. This simple, secure, HIPAA compliant way of moving confidential digital files between the physician’s office and the medical transcriptionist is repeated as often as necessary, in many cases on a daily basis.